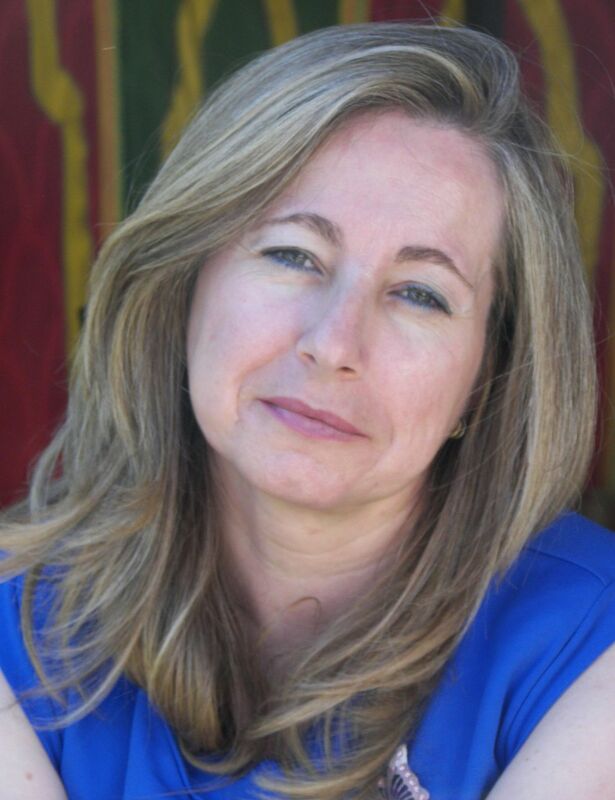 Ana Bocanegra-Valle holds a PhD in English Philology and is a Senior Lecturer at the University of Cadiz (Spain). She has wide experience of teaching EFL/ESP to undergraduate and postgraduate students and has researched extensively on Maritime English as a particular branch of ESP. She has published several papers and reviews in reputed journals ( Journal of English for Academic Purposes, Spanish in context, Applied Linguistics, International Journal of English Studies ), book chapters with prestigious publishers (John Benjamins, Peter Lang, Mouton de Gruyter, Wiley-Blackwell), and has contributed to over fifty conferences in the field. Her main research interests include ESP pedagogy (language learning/teaching, communicative and language learning strategies, terminology and discourse analysis as they relate to EFL/ESP development), ESP discourse analysis, research writing and English as a lingua franca. She is co-editor of English for specific purposes: Studies for classroom development and implementation (2007) and was the editor-in-chief of Ibérica, the journal of the European Association of Languages for Specific Purposes (AELFE), for eight years. She has served in the editorial board of several conference proceedings and has acted as an external reviewer for a variety of journals, conferences and publishers. She is at present head of the University of Cadiz Press. Bocanegra-Valle, A., M. C. Lario de Oñate, & E. López Torres (Eds.) (2007). English for specific purposes: Studies for classroom development and implementation . Cádiz: Servicio de Publicaciones de la Universidad de Cádiz. Bocanegra-Valle, A. (2014). ‘English is my default academic language’: Voices from LSP scholars publishing in a multilingual journal. Journal of English for Academic Purposes, 13(1), 65-77. Bocanegra-Valle, A. (2013). The perceived value of English for academic publishing among ESP multilingual scholars in Europe. ESP Today. 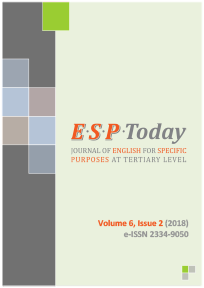 Journal of English for Specific Purposes at Tertiary Level, 1 (1), 5-25. Bocanegra-Valle, A. (2012). El profesor de inglés para fines específicos ante el Espacio Europeo de Educación Superior [The teacher of English for Specific Purposes in the face of the European Space of Higher Education]. AULA. Revista de Pedagogía de la Universidad de Salamanca, 18 , 29-41. Bocanegra-Valle, A. (2012). The language of seafaring: Standardized conventions and discursive features in verbal marine communications . International Journal of English Studies (IJES), 11 (1), 35-52. De la Campa Portela, R. M, & Bocanegra-Valle, A. (2007). New technologies as tools to support maritime technical English teaching – A revision of current use. The EUROCALL Review, 12, 23-58. Bocanegra-Valle, A. (2015). Needs analysis for curriculum design. In K. Hyland, & P. Shaw (Eds. ), The handbook of English for academic purposes. Oxford: Routledge. Bocanegra-Valle, A. (2015). Peer reviewers’ recommendations for language improvements in research writing. In R. Plo, & C. Pérez-Llantada (Eds. ), English as an academic and research language: Debates and discourses. LSP series vol. 2. Berlin: Mouton de Gruyter. Perea-Barberá, M. D., & Bocanegra-Valle, A. (2014). Promoting specialised vocabulary learning through computer-assisted instruction. In T. Read, E. Bárcena, & J. Arús (Eds. ), Languages for special purposes in the digital era (pp. 129-154). New York: Springer-Verlag. Bocanegra-Valle, A. (2013). Maritime English.In C. A. Chapelle (Ed. ), The encyclopedia of applied linguistics (pp. 3570-3583). Oxford: Wiley-Blackwell. Bocanegra-Valle, A., & De la Campa Portela, R. M. (2010). Needs analysis at the workplace: Surveying Maritime English use among in-service seafarers. In J. L. Cifuentes, A. Gómez, A. Lillo, J. Mateo, & F. Yus (Eds. ), Los caminos de la lengua. Estudios en homenaje a Enrique Alcaraz Varó [Paths to language. Studies in the honour of Enrique Alcaraz Varó] (pp. 417-430). Alicante: Publicaciones de la Universidad de Alicante. Bocanegra-Valle, A. (2010). Evaluating and designing materials for the ESP classroom. In M. F. Ruiz-Garrido, J. C. Palmer-Silveira, & I. Fortanet-Gómez (Eds. ), English for professional and academic purposes. Utrecht Studies in Language and Communication 22 (pp. 141-165). Amsterdam/New York: Rodopi. Bocanegra-Valle, A. (2010). Global markets, global challenges: The position of Maritime English in today’s shipping industry. In A. Linde López, & R. Crespo Jiménez (Eds. ), Professional English in the European context: The EHEA challenge (pp. 151-174). Berlin: Peter Lang. Bocanegra-Valle, A. (2008). Learning to learn in ESP. Fostering lifelong learning in European higher education under Bologna requirements. In I. Fortanet-Gómez, & Ch. Räisänen (Eds. ), ESP in European higher education: Integrating language and content (pp. 213-232). Amsterdam: John Benjamins Publishing. Bocanegra-Valle, A. (2007). Pedagogical implications of language learning assessment. In E. Usó-Juan, & N. Ruiz-Madrid (Eds. ), Pedagogical reflections on learning languages in instructed settings (pp. 274-295). Cambridge: Cambridge Scholars Publishing.